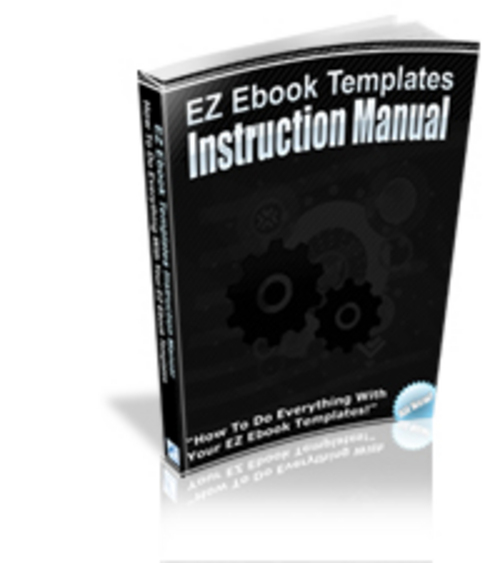 etting the most out of your EZ Ebook Template collection doesn't have to be a mind scramble. You can do it. And I'm going to help you get the most out of every single EZ Ebook Template you own...Starting right now! Finally, you can take full advantage of every single EZ Ebook Template on the market today...even if you don't know how to open one up! Sounds like a load of tripe, doesn't it? Well I assure you, it isn't. Yes, you can! From opening up your very first EZ Ebook Template, to making graphic adjustments, to creating a PDF file....It's all there ready to improve your learning curve and demystify EZ Ebook Templates once and for all. Don't Just Learn How To Do Everything With Your EZ Ebook Templates...Share The Knowledge With Your Own Customers Too! That's right! Not only can you learn to do everything with any EZ Ebook Template yourself, but you can pass on this extremely valuable knowledge to your own customers as well.